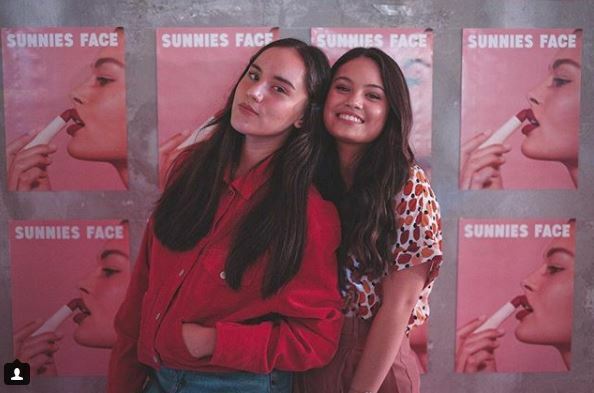 The brains behind the new homegrown makeup brand went live on Instagram first via their official account Sunnies Face. 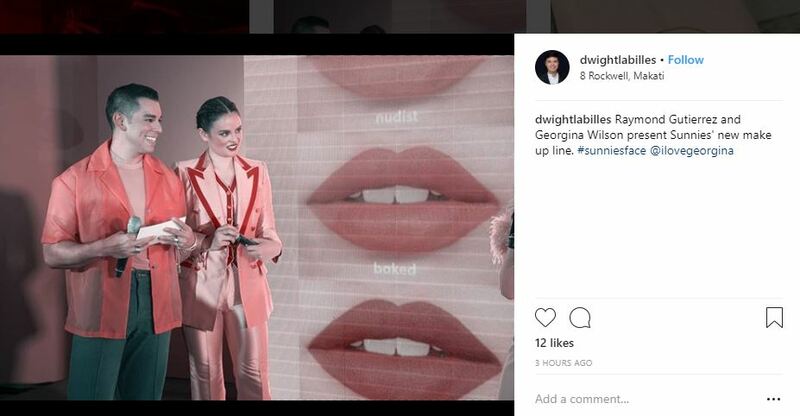 Georgina Wilson, Bea Soriano Dee, her husband Eric Dee Jr., Martine Cajucom, and the newest in the group of owners, Jess Wilson, were introduced by their friend Raymond Gutierrez who served as host of the night. 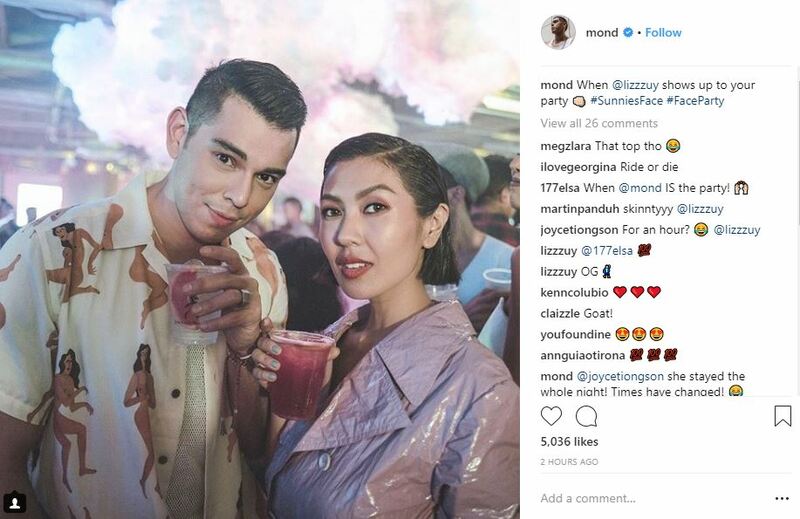 The Sunnies Face IG account also posted a lot of Stories, giving followers a blow-by-blow account of the event. 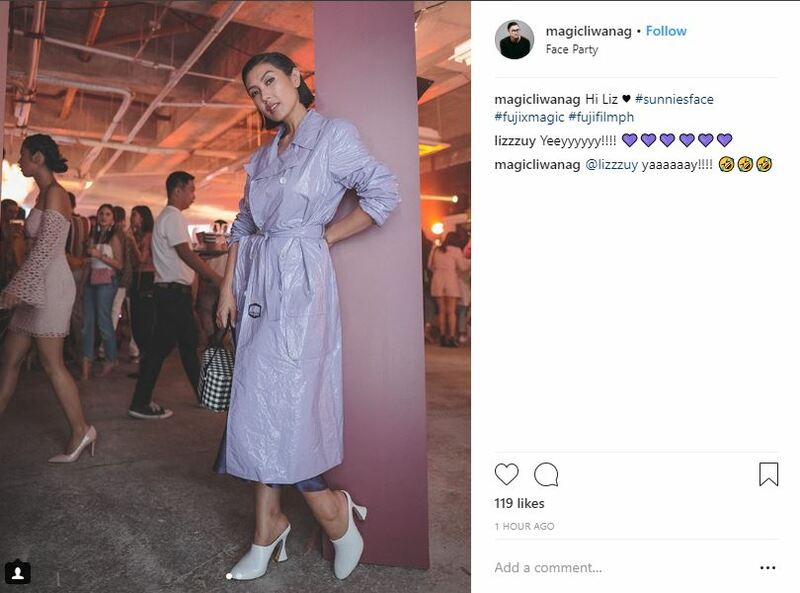 Unfortunately, those who chose to tune in to the Facebook live stream for the live giveaways had to wait for a long time as the Sunnies Face Party was not broadcast until around 8:30 p.m. Influencer Nicole Anderson first appeared on the live stream, but with no audio. After a few minutes, the live stream was cut off again. 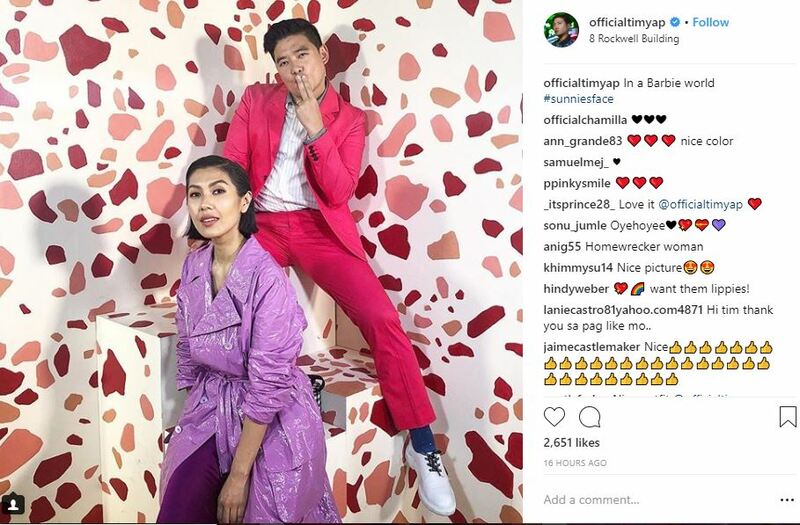 By the time it got back, Raymond was already with the Sunnies Face owners on stage, and the countdown for the website launch started. 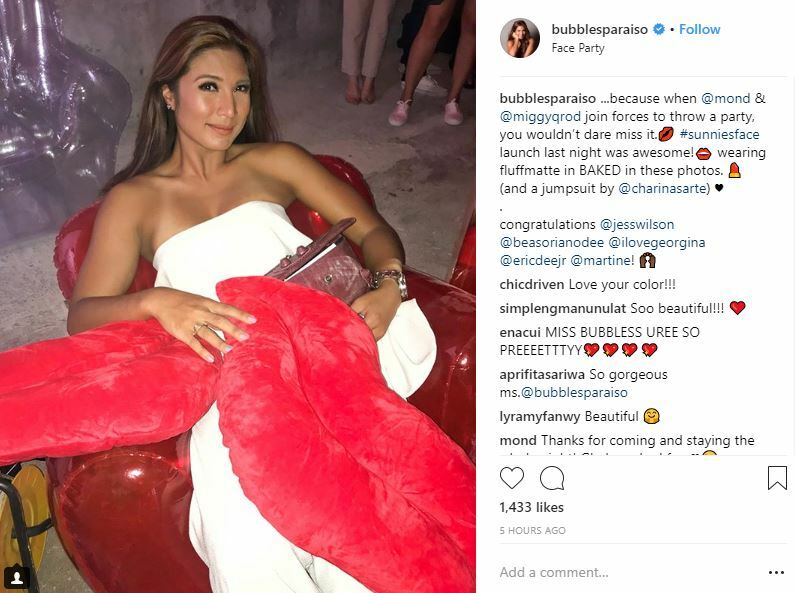 It was the signal for makeup addicts to place their orders online and get first dibs on the anticipated Fluffmatte lipsticks. 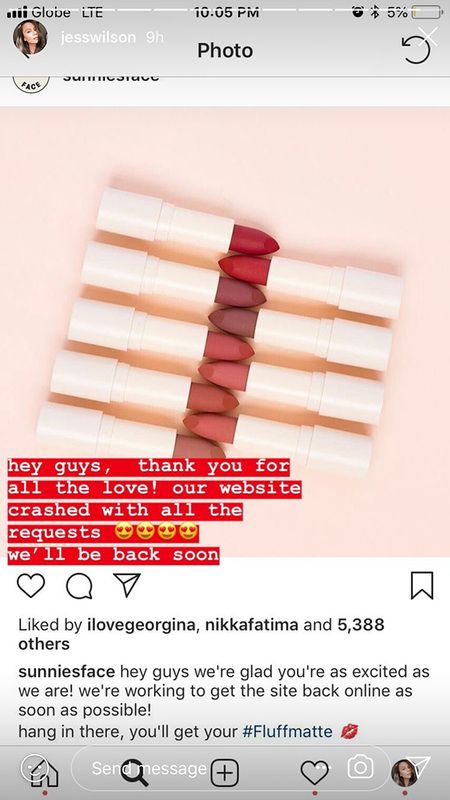 Bad news: the website crashed just a few minutes after its launch due to “crazy amount of traffic,” and Georgina and some of the gang posted on IG that they’re trying to get it back online so everyone can start ordering. 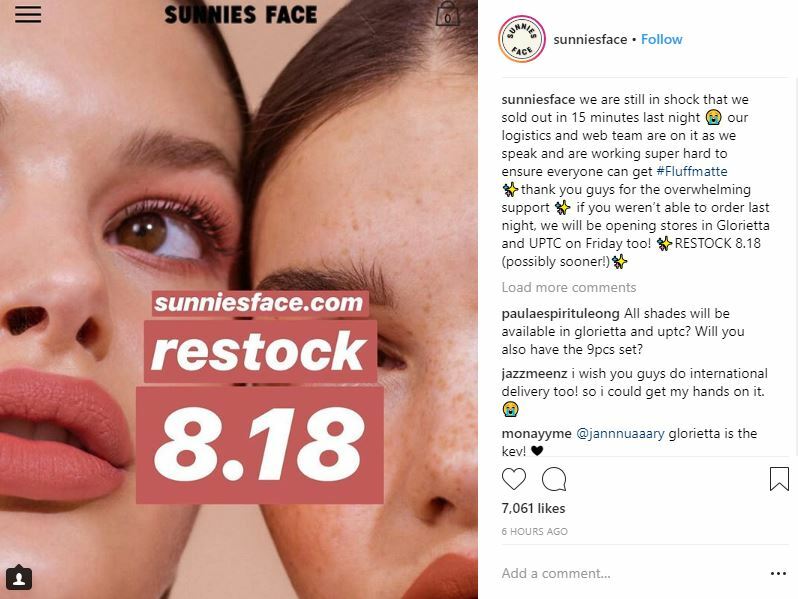 Good news for the Sunnies Face owners: 15 minutes after the site was back online, all the lipsticks sold out. 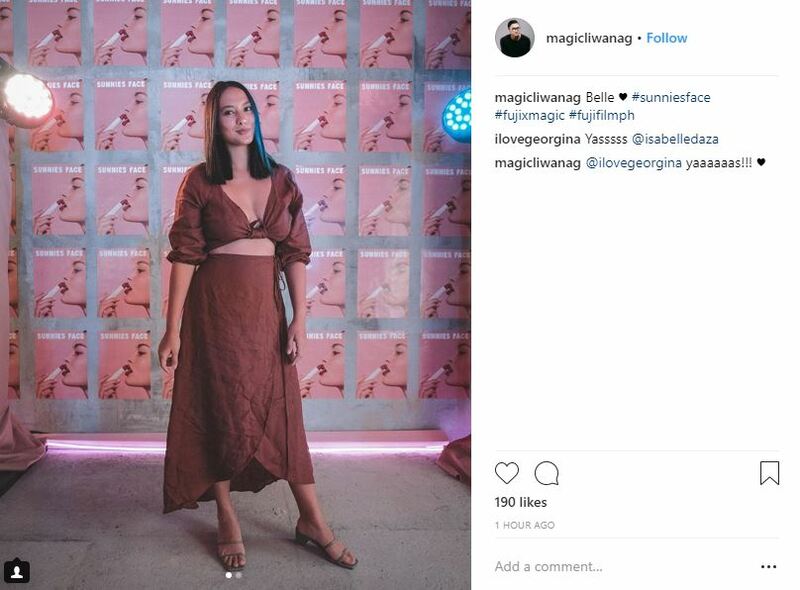 If you weren’t among the quick ones to order online, you can wait for the Fluffmatte restock on August 18, according to the brand’s IG account. 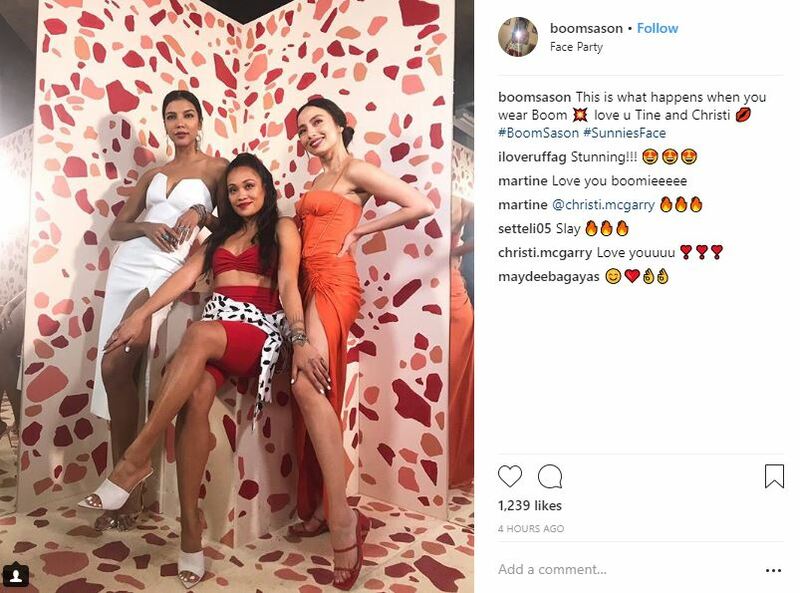 If you prefer to try the lipsticks first though, make sure you’re at the opening of the Sunnies Face stores in Glorietta 2 and UP Town Center tomorrow, August 10.